Serving the Catholic community of Geneva, the Basilica of Notre-Dame, locally known as Basilique Notre-Dame, is an architectural splendour. Constructed in the 1850s, this Catholic basilica was erected over the ruins of a Protestant church. 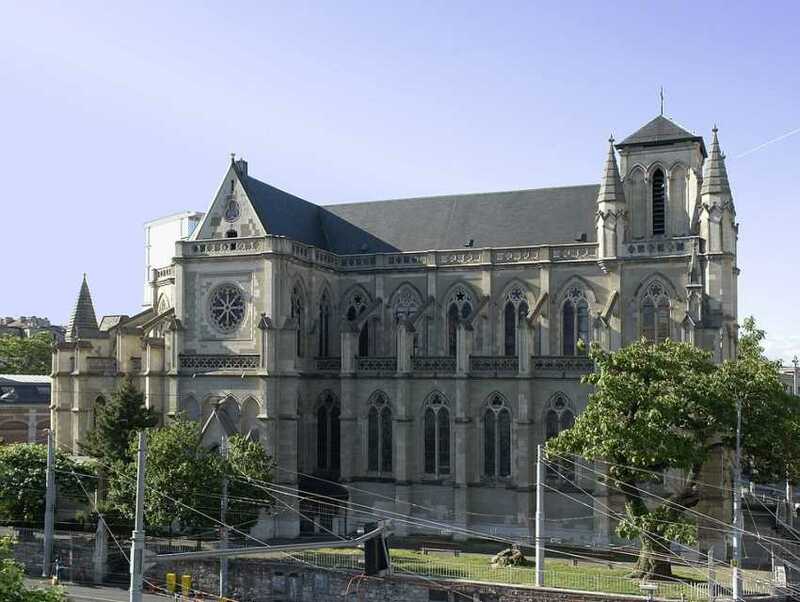 This religious structure was designed by renowned French architect, Alexandre Grigny, in the neo-Gothic style. The central chapel features a pristine white statue of the Immaculate that was presented to the city by Pope Pius IX. Basilica of Notre-Dame is a stop on the Way of St.James pilgrimage route to Santiago de Compostela.